Disclosure – This post is sponsored by Barilla but the content and opinions expressed here are my own. This was my thought process when I saw Barilla’s Red lentil pasta! Their bright orangish-red color got my attention and got my mind racing with all kinds of recipes! How to present this vegan lentil pasta? 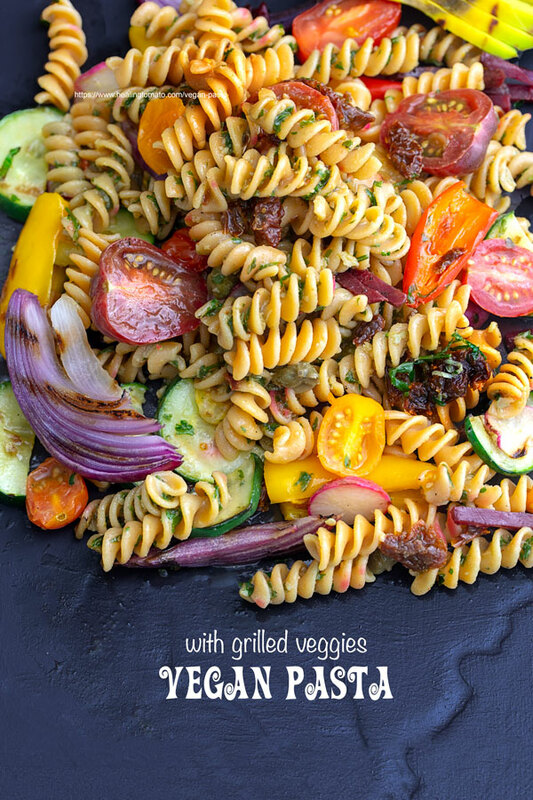 The best way to showcase this pasta is with a whole bunch of grilled veggies. 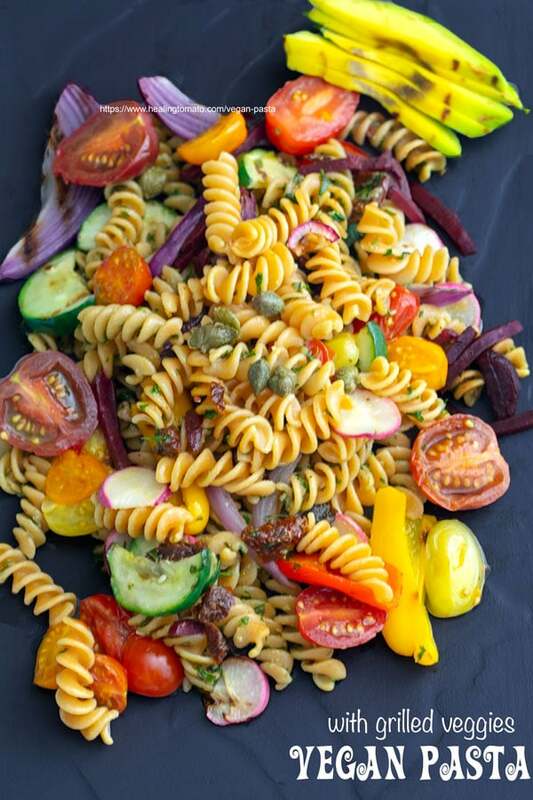 Together, the pasta and veggies make for a very colorful and delicious pasta recipe. 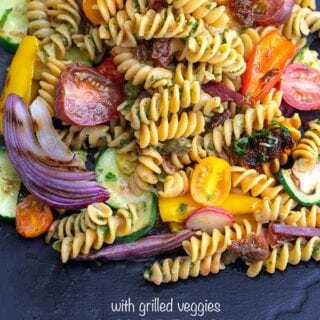 This pasta is a great way to add protein to my vegan diet and its also a great way to get my veggies for the day. I went with cucumbers, mini sweet peppers, julienne beets, colorful cherry tomatoes, avocado, red onions, radishes and topped with tangy capers! 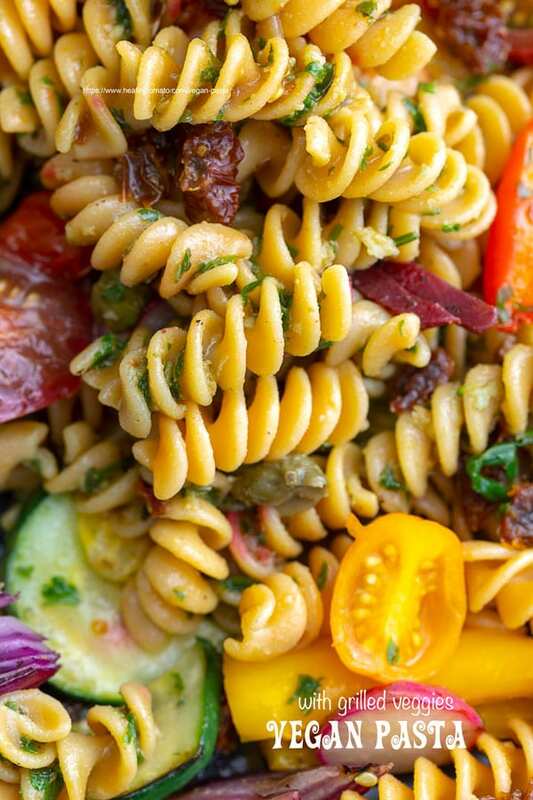 Vegan butter with fresh herbs and sun-dried tomatoes drizzled over red lentil pasta and grilled vegetables! 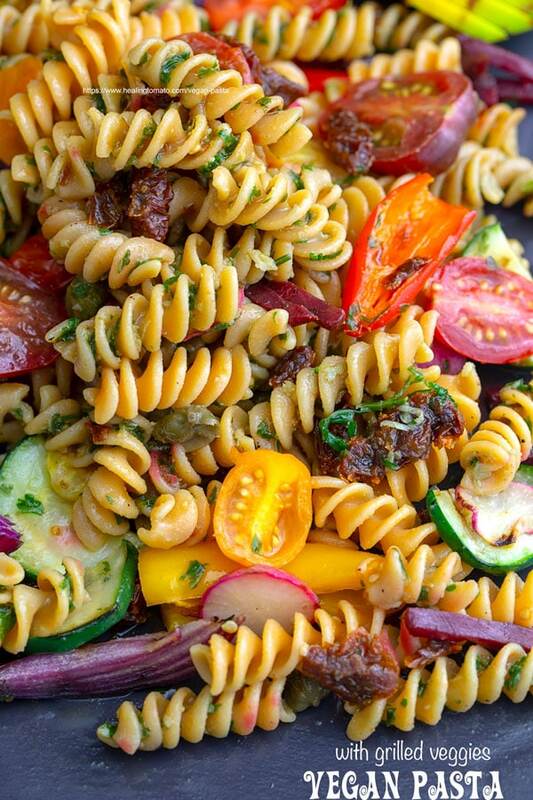 – Pasta that is rich in good fiber always gets my attention. Thankfully, this pasta by Barilla is Fiber rich! – I thought that the taste would be affected because it happens to be Gluten-free and Non-GMO certified. But, I couldn’t have been more wrong! Overall, Barilla’s vegan pasta is made with all good ingredients. There is nothing I don’t like about it. Theis Barilla pasta is also delicious in a cold pasta recipe. Or in a delicious 9 tomato marinara sauce. What are your thoughts on vegan pasta? 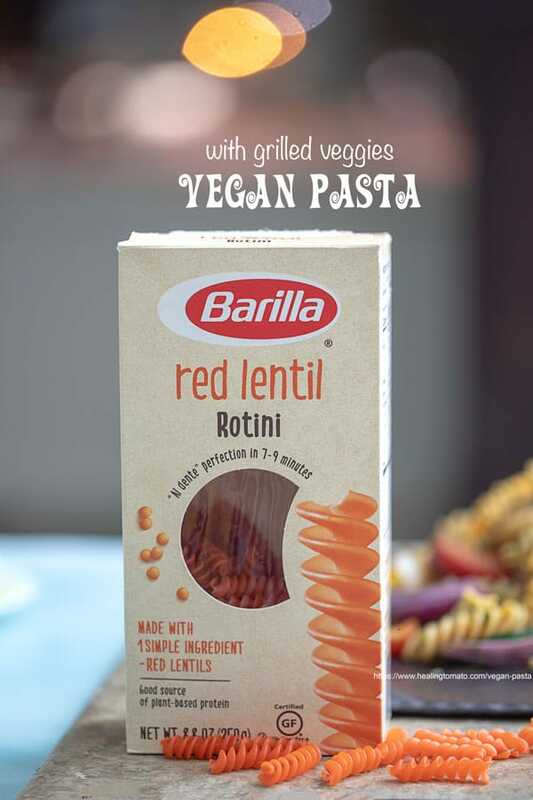 Have you tried these vegan red lentils pasta by Barilla? I want to hear your thoughts about it, so, please comment below.